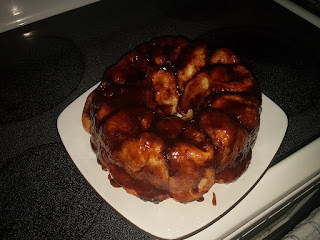 Not long ago my wife got a recipe from her sister-in-law Rachel Webb (which she had gotten from someone else) for Monkey Bread. You know that lovely cinnamon-sugar gooey bread that's all kinds of wonderful? If breakfast were more like this I'd eat it every day! Today I'm going to share with you all how to make it for yourselves. 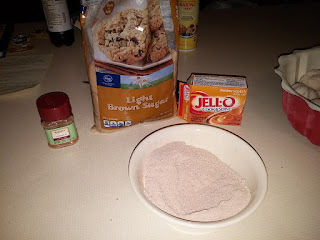 Starting Tip: You will want to start this at least 7 hours before you plan on eating it to let the dough thaw and rise. 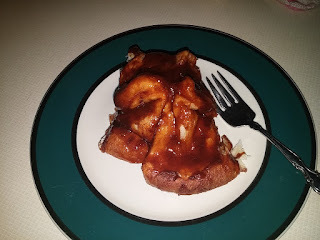 Most often this is a breakfast meal so I would prepare this at say... 10 or 11 PM for breakfast the next morning. 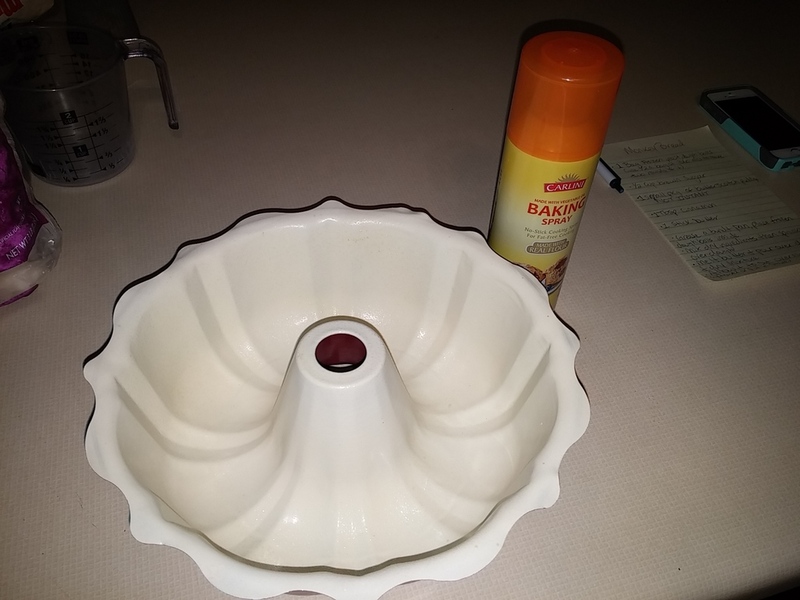 Simply set your bundt pan to the side and spray the inside with you cooking/baking spray. The dough balls generally come in a package of 36 so one bag will make two loaves. 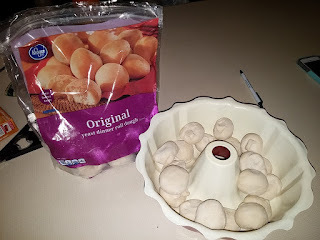 Take out 18 of your dinner roll dough balls and place them into the bundt pan. You can try to keep all 18 along the bottom of the pan if possible or you can do 9 on the bottom and 9 on a second layer though doing that is probably what caused ours to look weird... more on that later. 3. 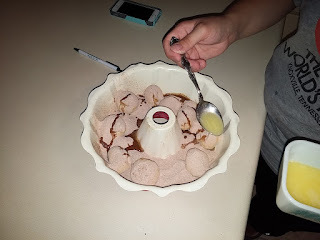 Mix Dry Ingredients Mix the 1/c cup of brown sugar, 1 Tablespoon of cinnamon, and package of Cook and Serve Butterscotch Pudding mixture together in a bowl. Make sure it's Cook and Serve and NOT Instant or it will mess up big time! Simply pour the dry mixture into the bundt pan covering all of the dough balls. 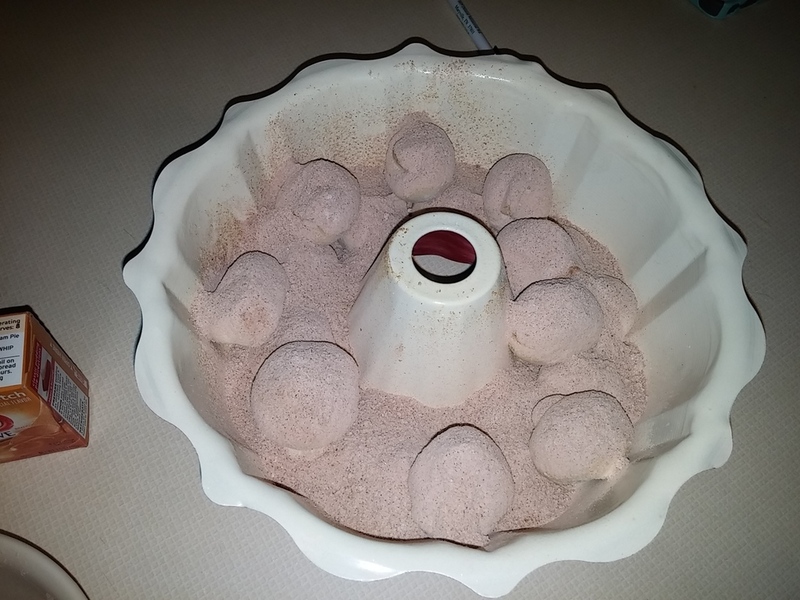 Feel free to use a spoon and slowly spread the dry mixture around to cover as much as possible. Melt the butter in the microwave for a few seconds until it's completely melted. 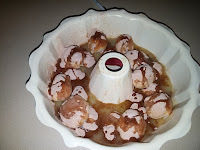 Then simply pour the butter over the dough balls and dry mixture. You can also use a spoon here to ensure you have an even amount of butter through most of the mixture. 6. Move Oven Rack and Let the Ingredients Sit Overnight/Over Several Hours. 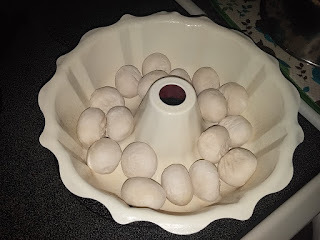 As stated before it's best to let the dough thaw and rise for several hours. 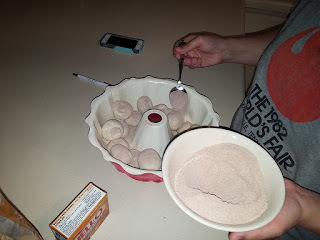 Since this is generally a food one eats for breakfast it's easiest to prepare this at night and let it sit overnight for early morning baking. 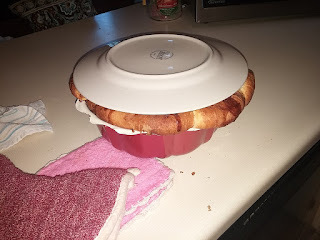 First thing you need to do is move your oven rack. Most things are done on the middle rack of the oven but this will rise too high and become burned on the top before the portion inside the bundt pan is finished. What you need to do is bring the oven rack down one spot so that it's on the fourth from the top section. 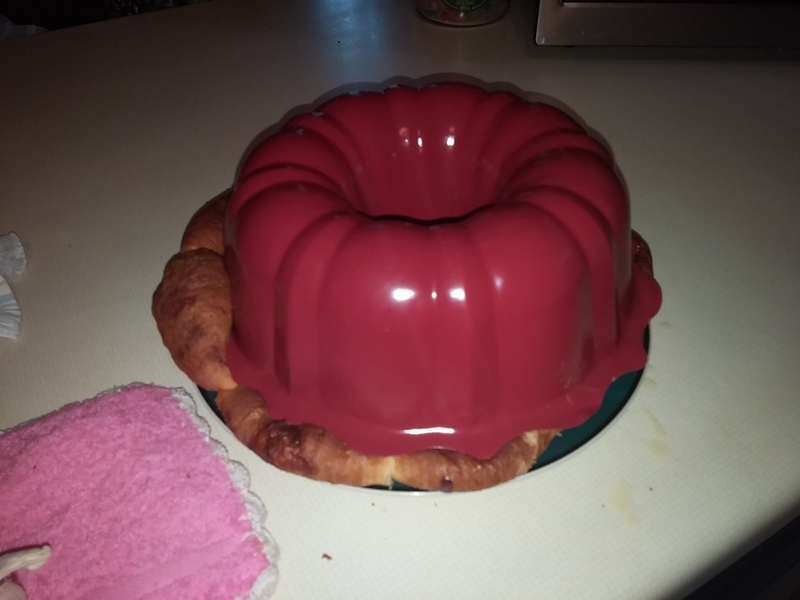 Simply place your bundt pan on the oven rack and let it sit overnight/for several hours. Here's a good spot to take a breather because you're going to be spending several hours waiting for the next step to be available. People say that working in the kitchen is both art and science. 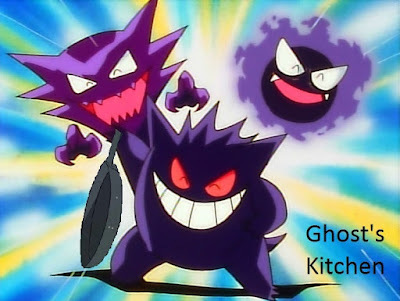 I tend to think of cooking as more art because it's a little more forgiving than baking. Baking is more like science and can screw up at the slightest whim with little to no reason why. 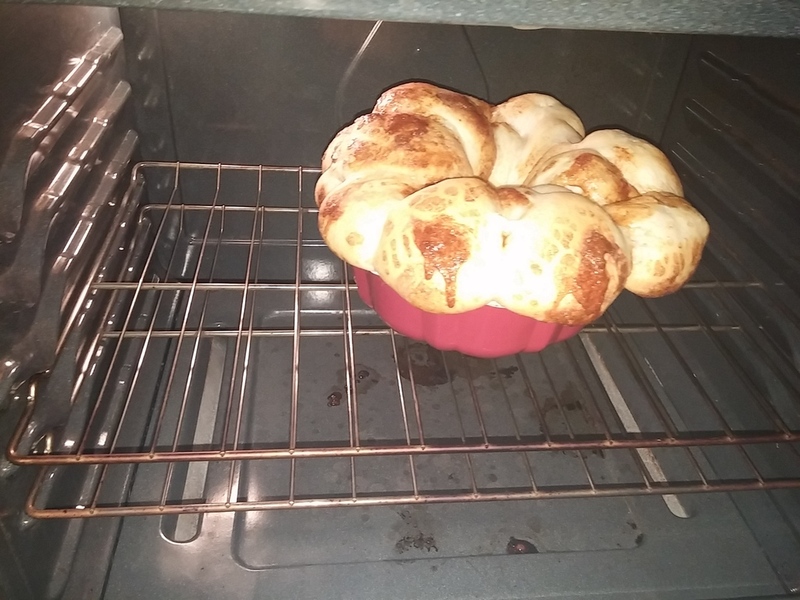 The pictures you are about to see of the monkey bread didn't turn out quite the way we had anticipated or seen from other people. After showing other more experienced bakers they had NO idea why ours turned out the way it does. So if yours looks prettier than the pictures below then awesome! Fortune smiled upon you. If it looks like ours or worse then don't worry! The look may not be pretty but the taste is still wonderful! Because the pictures below are not at all what we anticipated and may not represent what your product will look like! 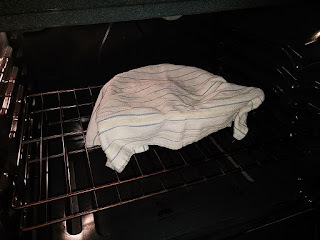 In the morning, remove the bundt pan from the oven and preheat the oven to 350°F. Once the oven is preheated, place the bunt pan into the oven for 20 minutes. While still hot, quickly run a butter knife around the edge of the bundt pan to make sure none of the bread has stuck to the sides. It shouldn't but this is just to make sure you don't end up with a mess on your hands. 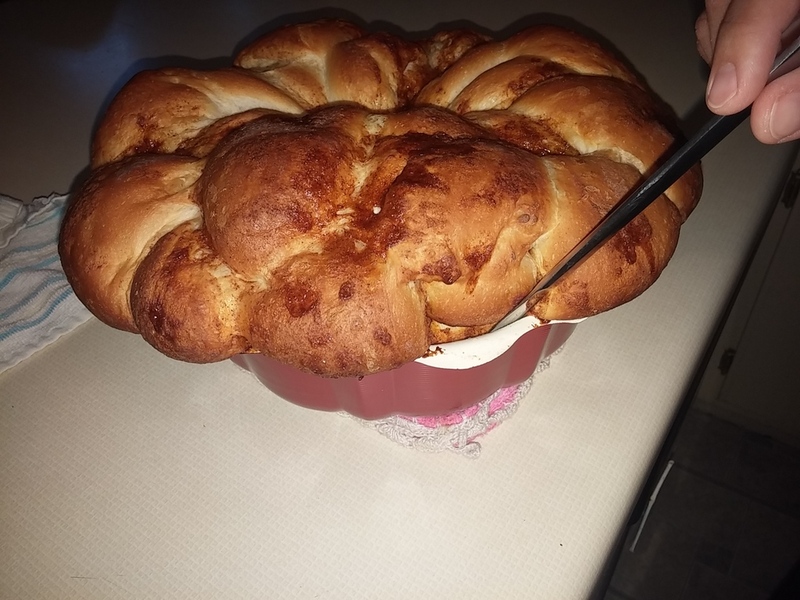 Place a plate on top of the bread and flip the whole thing over. Lift the bundt pan and set it aside. Depending on your luck, the gooey topping may run down the sides of the monkey bread or it may just sit there and do nothing. If it just sits there then use your butter knife and spread the goodness over the whole thing! 11. Cut a section and enjoy! As a side note you WILL want some milk or something to drink with this bad boy! Hopefully this is something you will enjoy making and eating as much as my family! 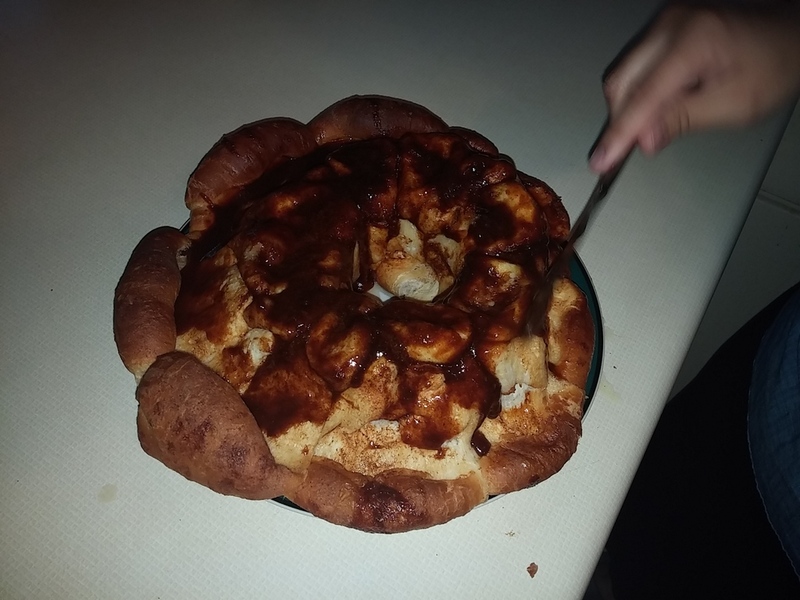 So we tried this again in an attempt to not get the bulbous monstrosity that we had to begin with and it worked. It seems as though the kind of frozen dough balls you get and your placement of them make a difference. We had previously used a bag from Kroger which were fairly large and it made us have to make 2 layers of 9 rolls each. This time we got a bag from Walmart which were much smaller and allowed us to place all 18 in the bottom of the bundt pan. As you can see below this worked to our favor as the monkey bread came out as it should.